Now is the Time to Plan your St. Barth Vacation! I hope that your summer went well and that you had time to relax a bit. Per usual I spent my summer on Cape Cod working remotely with both my US office and my St. Barth office. The bulk of my time was spent preparing and editing our new Live Your Dream® catalogue. 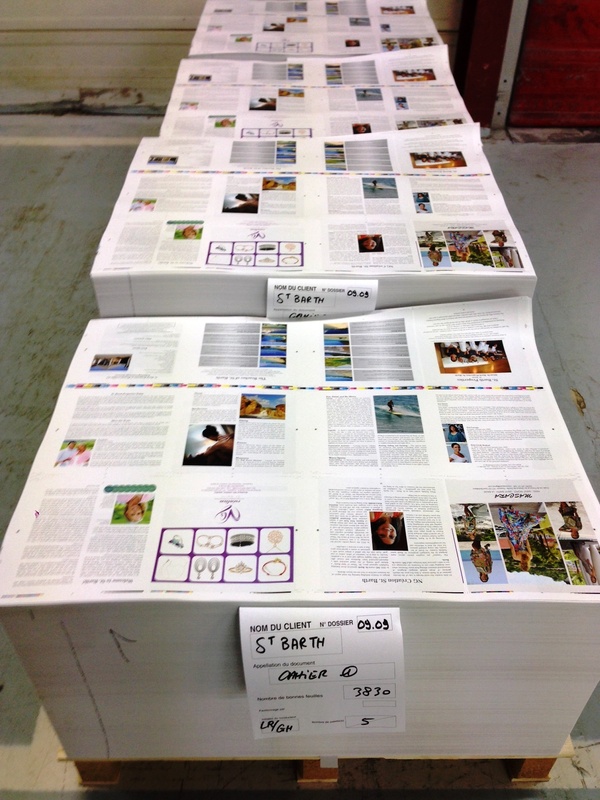 It just went to press and I can’t wait for you to see the finished product – It is our 25th Anniversary edition! I will be unveiling it at our Annual Beachside Bash which this year is being held on November 14th at the gorgeous beachfront hotel Taïwana on beautiful Flamands Beach. I would really love to see you there. Of course the party is our treat in appreciation of you, our valued St. Barth Properties clients. Invitations will be sent out very soon, so if you have not booked your accommodation yet, now is the time to do so. Just email reservations@stbarth.com or better yet, pick up the phone and call 1-800-421-3396 (or +1-508-528-7727). 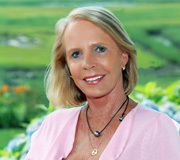 We would be happy to chat with you about the Bash and help you plan your St. Barth trip around it. If those November dates don’t work for you, now that the kids are back in school and the summer is winding down, it is time to think seriously about booking your fall or winter vacation to St. Barth. While the island might be in its annual hibernation period, it is not too early to make your reservation. Right now and until December 14th, it’s Value Season; many people take advantage of the extra savings that traveling during this period of time affords them. Have a look at our Specials Page to see what villas offer even more bang for your buck. Tradewind Aviation resumes their regularly scheduled roundtrip flights directly to St. Barth from San Juan, St. Thomas and Antigua on October 18th 2013. We are at-the-ready to get those seats booked for you and coordinate the dates to coincide with your villa or hotel reservation. Would you rather be here or at home buttoning up your overcoat? If you are thinking of spending the Christmas/New Year’s holidays in St. Barth, many clients have the jump on you; their villa and/or hotel stays as well as their airline and car rental reservations are securely in place. For your convenience we have a direct link to our holiday availability on-line. It is really important to reserve now while we can still offer several villa options, obtain rental cars for you and assist you with the inter-island flights. My husband Steve and I will be back on the island fulltime by then. We really enjoy the festivities and for the second Christmas in a row, my son, Mark Smyth (the dentist) and his family will be celebrating Christmas in St. Barth with us. 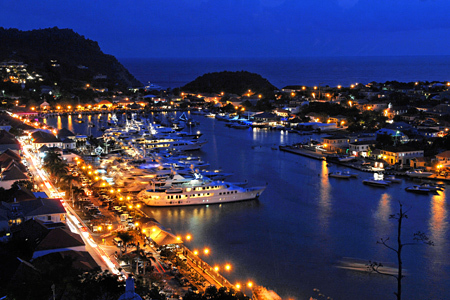 Just as we do, you will love taking an evening stroll along the quai to marvel at the wondrous yachts docked along Gustavia Harbor; it’s a must. And, of course window shopping soon brings you into the gorgeously decorated boutiques to have a look; eventually you end up purchasing that perfect gift for yourself and/or for someone special. 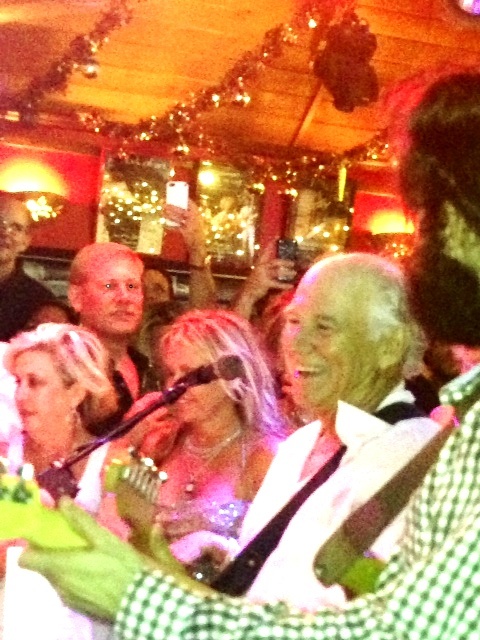 Drop into the Baz Bar after dinner and you just might catch Jimmy Buffet picking up a guitar and singing a few songs with the band that is featured there at that time. Where to dine Christmas Eve, Christmas Day, New Year’s Eve and New Year’s Day? Our concierges Julia and Magda will give you the inside scoop as soon as the proposed menus are received. Would you like an in-villa massage? Do you need a babysitter? What about a day trip to Colombier Beach or a sunset cruise? We will happily set that all up for you. Look who made an impromptu appearance while I was at the Baz Bar. You too can sing along with Jimmy.